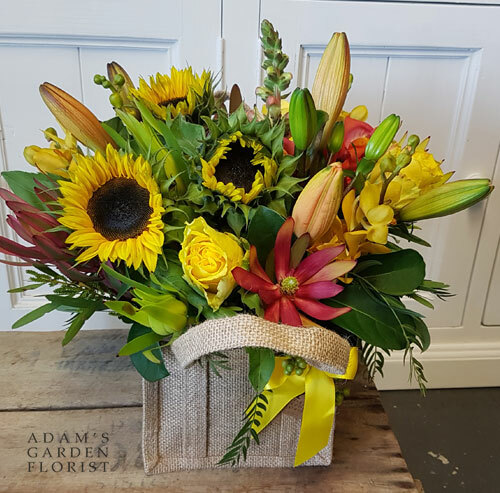 Sunflowers have been growing in popularity recently, and we’ve noticed more and more of you are asking for them. Which is great! We love sunflowers too. – Sunflowers often come in tight, still to open up. So they might look like green buds for a few days. If you need them to be open or opening, you will need to let us know ahead of time by a few days. – Sunflower stems are soft and go yukky quickly in water. Make sure you re-cut the stems every other day and change the water to keep the water and the sunflowers fresh.